"Wine & Spirits Magazine" has rated the wine "Elena Walch Kastelaz Merlot Alto Adige Riserva, Trentino-Alto Adige, Italy" from the vintage 2012 on 01.10.2016 with 88 of 100 points. 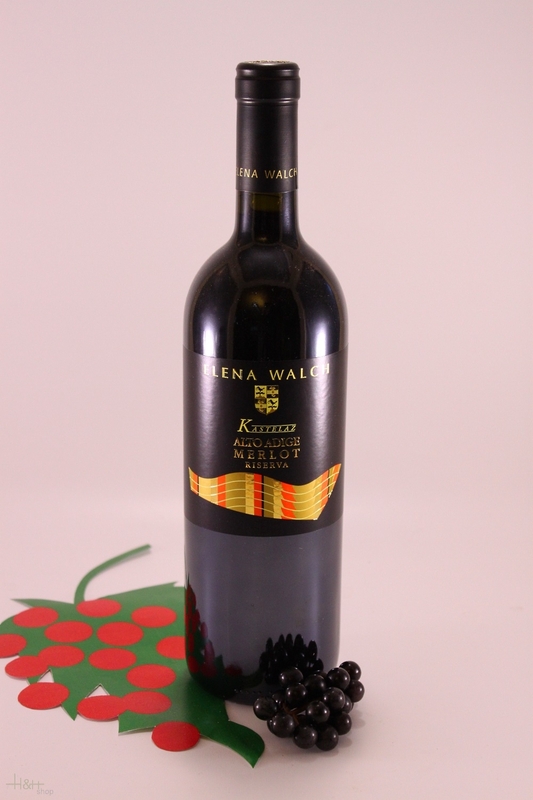 "Wine Enthusiast" has rated the wine "Elena Walch Kastelaz Merlot Alto Adige Riserva, Trentino-Alto Adige, Italy" from the vintage 2011 on 07.01.2016 with 89 of 100 points. "Wine Spectator" has rated the wine "Elena Walch Kastelaz Merlot Alto Adige Riserva, Trentino-Alto Adige, Italy" from the vintage 2011 on 15.10.2015 with 89 of 100 points. "Falstaff Magazin" has rated the wine "Elena Walch Kastelaz Merlot Alto Adige Riserva, Trentino-Alto Adige, Italy" from the vintage 2012 on 23.06.2015 with 91 of 100 points. "Falstaff Magazin" has rated the wine "Elena Walch Kastelaz Merlot Alto Adige Riserva, Trentino-Alto Adige, Italy" from the vintage 2010 on 24.06.2014 with 89 of 100 points. 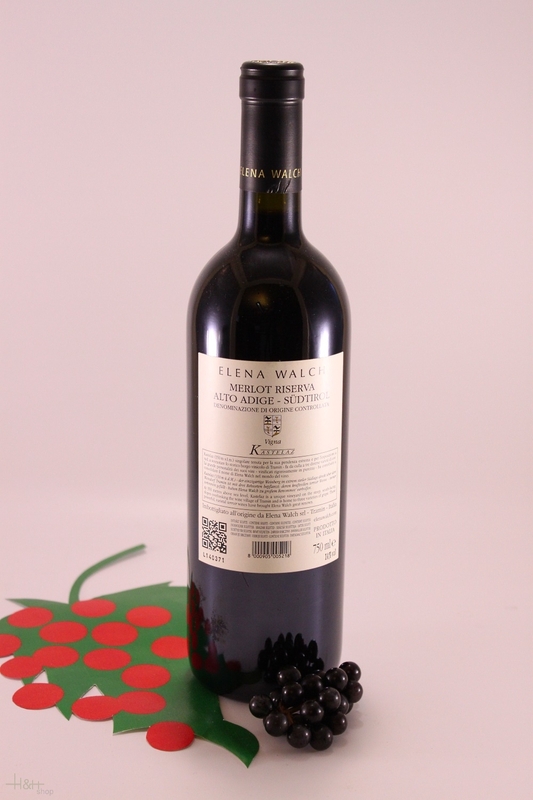 "Falstaff Magazin" has rated the wine "Elena Walch Kastelaz Merlot Alto Adige Riserva, Trentino-Alto Adige, Italy" from the vintage 2009 on 25.06.2013 with 90 of 100 points. "Wine Spectator" has rated the wine "Elena Walch Kastelaz Merlot Alto Adige Riserva, Trentino-Alto Adige, Italy" from the vintage 2005 on 31.08.2011 with 90 of 100 points. "Wine Spectator" has rated the wine "Elena Walch Kastelaz Merlot Alto Adige Riserva, Trentino-Alto Adige, Italy" from the vintage 2003 on 30.06.2008 with 85 of 100 points. "Wine Enthusiast" has rated the wine "Elena Walch Kastelaz Merlot Alto Adige Riserva, Trentino-Alto Adige, Italy" from the vintage 2002 on 04.01.2007 with 91 of 100 points. "Wine Enthusiast" has rated the wine "Elena Walch Kastelaz Merlot Alto Adige Riserva, Trentino-Alto Adige, Italy" from the vintage 2003 on 04.01.2007 with 91 of 100 points. "Wine Spectator" has rated the wine "Elena Walch Kastelaz Merlot Alto Adige Riserva, Trentino-Alto Adige, Italy" from the vintage 1998 on 30.06.2002 with 84 of 100 points. South Tyrol's finest autochthonous red grape variety, grown in a superb site; an enormously impressive wine!